Dr. Kenton is committed to serving his community with a natural approach to health care. He feels that by providing chiropractic care and educating patients on health, fitness, and diet will help them achieve a greater life expression. Board Certified Doctor of Chiropractic by the National and North Carolina Chiropractic Board of Examiners; Doctorate of Chiropractic Degree-Palmer College of Chiropractic in Davenport, IA; Ohio University-Athens-Bachelor of Science Degree; Member of the North Carolina Chiropractic Association; 2005-2006 President of the North Carolina Chiropractic Association-Western District. Passionate about children and chiropractic, Dr. Sara enjoys taking care of children and expectant mothers. She feels that if every child has the opportunity to have their nervous system and spine cleared of any interference at the earliest age, many common childhood illnesses would be prevented. Board Certified Doctor of Chiropractic by the National and North Carolina Chiropractic Board of Examiners; Doctorate of Chiropractic Degree and Bachelor of Science Degree from Palmer Chiropractic College in Davenport, IA; University of Washington-undergraduate studies; Member of the North Carolina Chiropractic Association; Member of the International Chiropractic Pediatric Association; Webster certified (Pregnancy Care). Emily is our insurance and billing supervisor. She is a graduate from the University of North Carolina at Charlotte with a degree in Psychology. She is a Certified Chiropractic Assistant and Certified Class 4 Laser Technician. In her free time, Emily loves to go hiking with her husband and their rescue dog, Atlas. Kathy is a Certified Chiropractic Assistant and is often the first team member you meet at the front desk. She received her CA Certification from the NC Chiropractic Association. She was born in Asheville. She enjoys spending time with her family. Jess has a passion for helping people and seeing people thrive. She was born in Philadelphia and moved to Asheville. She studied massage therapy and criminal justice. She enjoys exercising, working on her and her boyfriend's tiny home, and spending time with friends. She is a Certified Chiropractic Assistant and Certified Class 4 Laser Technician. 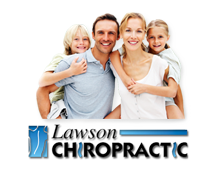 If you have any questions about our Asheville chiropractors, or would like to learn more about chiropractic care at Lawson Chiropractic, please call us at 828-274-8880today!